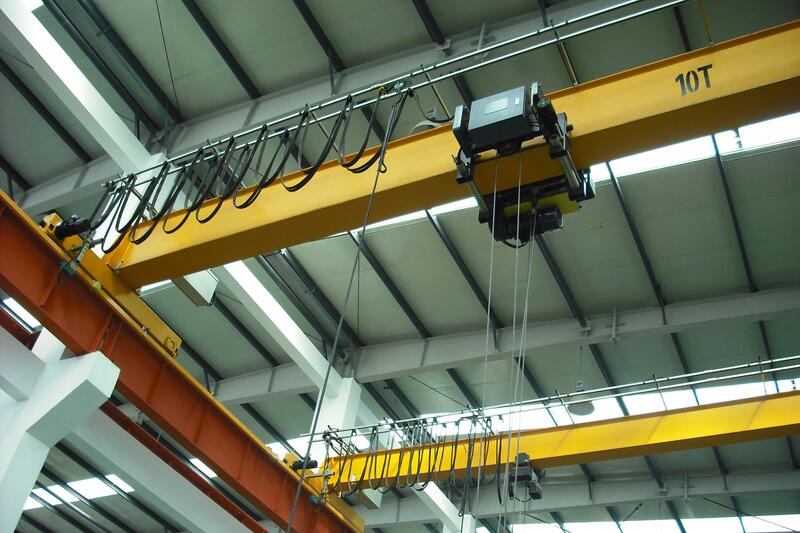 Complying with JB/T1306-2008 standard, LDX electric single-girder crane is widely used in such areas as manufacturing workshops，assembly shops and warehouses. It is not appropriate for lifting molten metal and not allowed in such hazardous environments as flammable，explosive and corrosive. 1. Hoisting mechanism of this crane generally matches with the CD type(single-speed)or MD-type(two-speed) electric wire rope hoist . Usually its classification group is M3 or M4 , if matching with other type of electric hoist,it can be up toM5～M6. 4.This product has two types of manipulation: ground control and remote control. The former includes wired button control and remote control, You can choose one type in accordance with your actual condition.